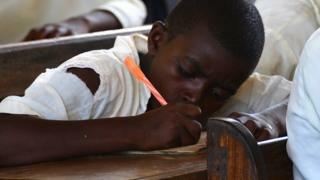 Private schools in Tanzania have been ordered to reduce fees as a part of a government review of education. The education ministry has also banned state schools from seeking contributions from parents. Free government primary education was introduced in 2002, and from January annual fees of $19 (£12) will be abolished at secondary schools too. But most state schools request contributions from parents of about $100 a year, which many cannot afford. Tanzania's new President John Magufuli has promised to overhaul the education sector, where standards are low and resources stretched in state schools. The BBC's Leonard Mubali in Dar es Salaam says those parents who can afford it, opt to send their children to private schools, where they have a better chance of passing their exams. But the government is worried that some private institutions charge parents for services that they do not deliver. Education Commissioner Eustela Bhalausesa said private schools had to submit their intended fees for the next year for a board to review from 16 December. Our reporter says the government has the power to force private school owners to reduce their fees. Murinde Kitururu, who represents private school owners, said they were worried that the government did not understand the true cost of running a school. But he told the BBC Swahili service that they were co-operating with the education authorities and would try to negotiate. Our reporter says the ban on contributions at state schools will come as a relief to parents, but will leave head teachers further stretched as they try to run their schools.